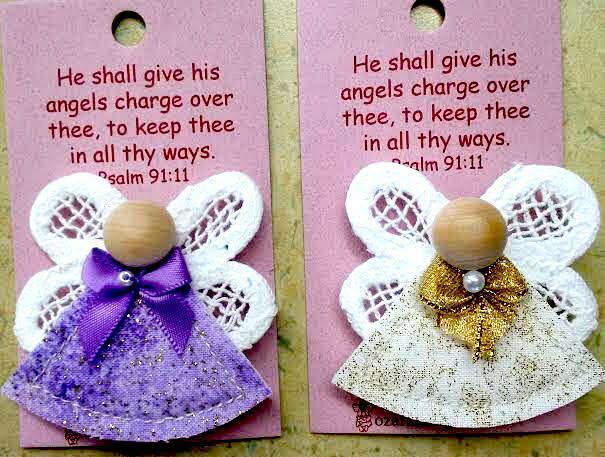 Each angel is 2" x 2". Fabrics vary. Product includes one (1) angel pin.